Whatever actions you initiate for improving your website ranking will under that category of Search Engine Optimisation. The ultimate objective is to make the website as relevant that audiences search for it for its branding, reputation and making it valuable to the search engine. 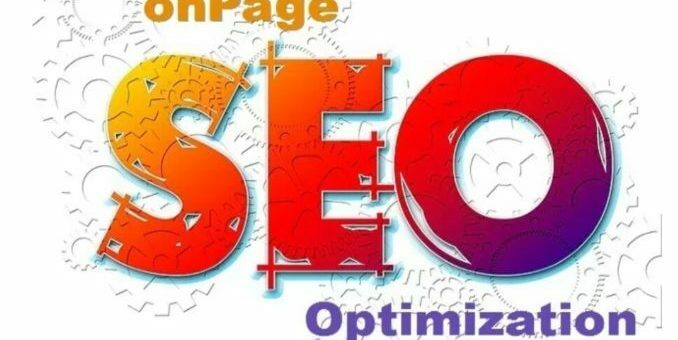 On-page and off-page SEO are required to achieve maximum exposure, but this blog focuses on top 5 on-page SEO techniques to bolster reach of your online marketing campaign. The contents of the website are the key. Contents interact with the potential customers. Contents has to be unique so that reader is engaged with your website and need to read and know more about your business. Just OK content will just give info and reader would like to skip because it does not increase interest. Basically, no one would understand you business if not defined properly and this is kind of initiation of your communication with your prospective customer. This increase brand awareness, attracting customer and finally retention of customer and build loyalty. Unique, Original and useful in the form of articles / blog, images, videos, presentations, infographics, comments etc. that crates value to the audience. It should be published in appropriate location maintaining the theme flow and it would be more appreciated if published on quality websites which attract traffic. Non-text contents like posters, videos & images should always be supported by a right text description. It should be well researched keeping in mind the anticipated question in the minds of readers. Low-quality text, spell errors, very generic, irrelevant, copied should be taken care well. Search engines Crawl your website for all those elements like headings, page title, the description of the page, and images to know what the page is all about. Then depending upon other important factors considered by the search algorithms, search engines rank your page / website. No duplicate of two-page titles and its objective and objective should be very clear. While reading the page at no instance reader should lose. They should know at what page is all about. the key-words should have spread on They should know what the page is about based on the keywords of interest and focus. It’s very important that while looking for a relevant page when it appears among the other links listed on the search, the users scan through the page, explanatory yet short and precise (in under 150 characters). After all search engines look for them to consider if it matches the query of the user. This is basically setting right heading (h1) and sub-headings (h2) tags placed appropriately along with bold, underline or italics highlighting important parts of the page to make it readable for the user. Images should be original and optimised images having a descriptive file name can really boost the performance of website content but make caution has to be taken care that it does not slow down the website. Not to forget to use ALT tag for image description. Links should be placed on other websites to increase the authority of your website and internal links are also equally important. It boosts navigation for the user also allowing a website to be properly crawled by the search crawlers. Improvement can be done by increasing internal linking efforts by using content links (to redirect the readers to other related pages) and permanent navigation links. Ensuring users stay on the website : Find relevant contents and relevant content piece after another through internal linking keeps the users on the website for a longer time, this increases chances of interaction. Allows Search engines to see other pages, including important pages: A page which has links takes the search engine crawlers to other linked pages as well. Some pages being more imp. that other linked in this manner get highlighted to the search engine without additional efforts. Permanent links: URL of each page is a permanent link; to keep it in good books of search engine keep it under 255 characters, different words / parts of URL to be separated by hyphens. User Sitemap: An HTML file that serves as a map for the search engine, as well as user showing the structure of your website is a sitemap. Another aspect to pay attention is to get the page authority up by getting it written by those who know their subject and others know them. If you can’t find someone like that, become one by establishing authority;link your web-published content with your Google+ or other social media profiles. If you stay active on the web with credible content, gradually you gain valuable followers underlining your authority to the search engine. When you work on all the 5 elements of on-page SEO mentioned above, the chances of improving site ranking grows manifold. Would you risk not having worked on these rather?